Born in France in 1976, Sam Baron graduated in design in 1999 from the École des Beaux Arts de Saint Etienne. His work has been shown at numerous design events and fairs, including Maison et Objets and the Salon du Meuble in Paris, the Salone del Mobile of Milan, the International Contemporary Furniture Fair, New York, Tokyo Designers Block, Biennale de Saint Etienne and the Frankfurt Design Fair. He won the Design category award of the Grand Prix de la Création de La Ville de Paris 2007, the Art de la Table award 2009 launched by Elle Decor France and the Créateur de l’Année 2010 promoted by Maison et Objets. The issue n° 79 of Colors magazine “Collector” (winter 2010/2011), directed by Sam in collaboration with Colors’ editorial team, obtained the Silver Cube at the Art Directors Club 90th Annual Awards (2011). 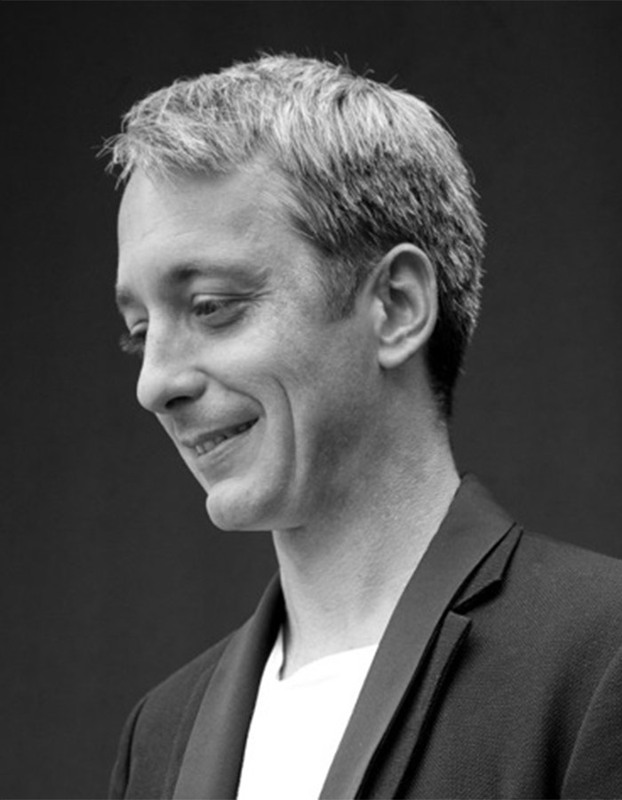 He has been the Director of Fabrica’s design projects since 2006. Sam’s perennial re-readings and reinterpretations of traditional know-hows (handcraft or industrial) shrewdly interrogate on the utility of today’s material productions and the very existence of new objects. By anchoring his creations in an artistic and functional inquiry, without omitting cultural and historical narrations, Sam Baron places his outlook in our everyday life and its contemporaneity.